Our stock line includes many types of apparel displays that are designed to merchandise a wide range of apparel products. We offer 1-sided, 2-sided and 4-sided fixtures, most of which are constructed using a metal. All of our apparel fixtures feature knockdown construction which helps reduce shipping and storage costs. Our apparel fixtures either have slotted tube frames or grid panels, both of which allow for adjustability of the fixture accessories that are available to be purchased with these units. 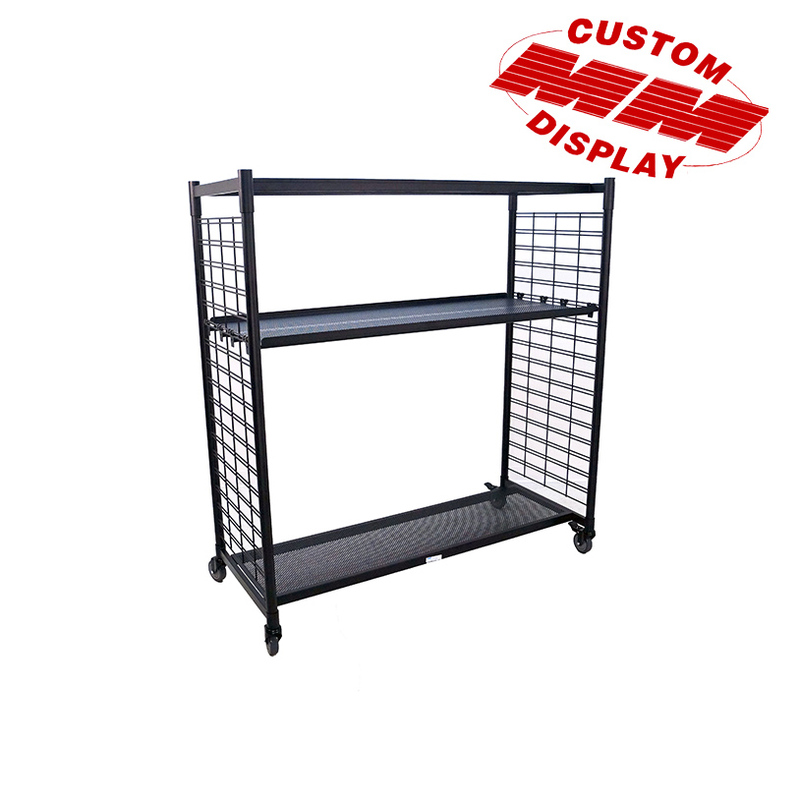 Our accessories include shelves, hooks, straight-outs, cap pockets, shoe shelves, and sign holders. Our apparel displays are highly configurable. Select one or more of our accessories to merchandise these fixtures to achieve maximum sales for your product line.